Our primary role is to prepare integrated strategic plans in consultation with the community. These plans may identify future transport corridors, utility corridors and sites for essential facilities including communication, water and power supply, gas and similar condensates, effluent treatment and regional waste, public and social infrastructure. The Planning Commission may provide guidance on where and how communities or urban areas should grow. Our plans can include maps, policy statements and objectives relating to housing, transport, economic development, the environment, open space and conservation. Consultation was open from Saturday 1 December 2018 to Friday 22 February 2019. Stage 1 consultation on an Area Plan for Katherine East occurred during November and December 2018. 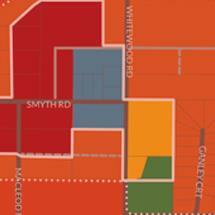 Katherine East has been identified as the future suburban growth area of Katherine. The long term land use planning will consider how and where development should occur to maximise investment in infrastructure, use land efficiently and create enjoyable spaces for people. Find out more about the Katherine East Area Plan project. Stage 2 consultation on an Area Plan for the Humpty Doo Rural Activity Centre occurred during November 2018. Our focus on planning in the Activity Centre will help maintain the amenity and lifestyle of the rural area, ensuring there are reticulated services available to the growing population, and help protect the rural area from ribbon development. Find out more about the Humpty Doo Rural Activity Centre Area Plan project. Stage 2 consultation on the Draft Tennant Creek Land Use Plan occurred during July/August 2018. The Northern Territory Planning Commission is inviting the Tennant Creek community to help shape future land use in the township by providing comment on the a draft Land Use Plan. This second stage of public consultation allows for comment and input on the draft Land Use Plan. The draft was prepared by taking into account community feedback and background investigations from the first stage of consultation in late 2017. Find out more about the Tennant Creek Land Use Plan. 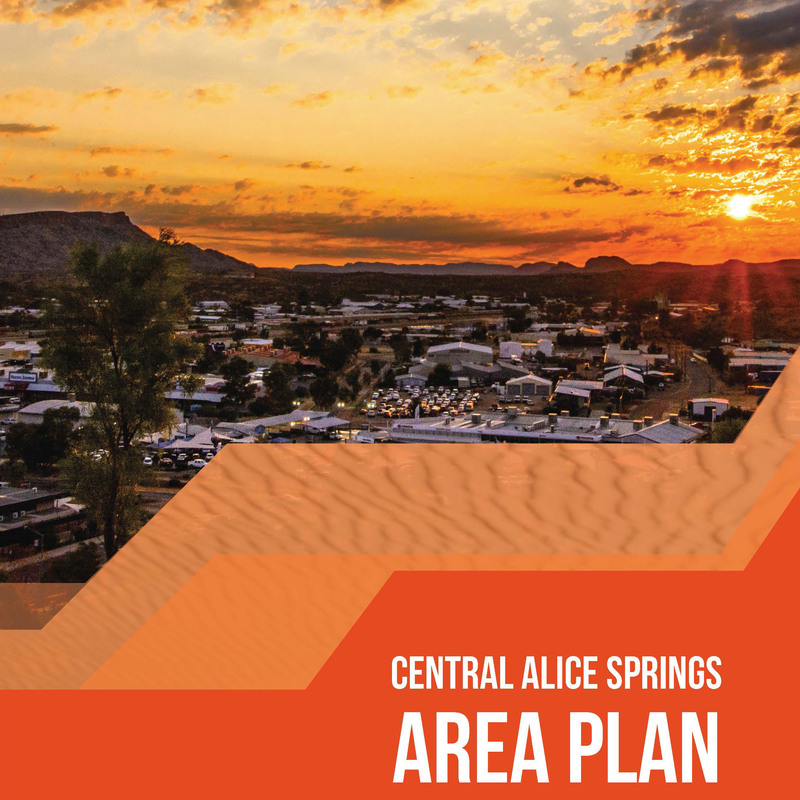 Stage 2 consultation for a Central Alice Springs Area Plan occurred during July/August 2018. This stage of consultation allows for further comment and input into the draft Area Plan, which has been prepared by taking into account community feedback and background investigations from Stage 1. Get involved by dropping in to see us at the Alice Springs Show or pop-up information stalls over the next few weeks. Stage Two consultation for the Coolalinga/Freds Pass Rural Activity Centre Area Plan concluded on Wednesday 1 November 2017. The Planning Commission is pleased to advise that the Minister has placed the planning principles and an area plan for the Howard Springs Rural Activity Centre on public exhibition as a proposed Planning Scheme Amendment. The exhibition package for the proposed Planning Scheme Amendments can be found at https://nt.gov.au/property/building-and-development/northern-territory-planning-scheme/planning-scheme-amendments-and-concurrent-applications. Exhibition will run from 4 August 2017 to 1 September 2017. Documents available here for completed Planning Commission projects are final in relation only to the Planning Commissions’ work. The Minister is the decision-maker on all proposed amendments to the NT Planning Scheme. Documents included in the NT Planning Scheme are not necessarily identical to those prepared by the NT Planning Commission. Refer to the NT Planning Scheme page on the NT Government website to view documents currently included in the NT Planning Scheme. On 3 October 2017, the Minister for Infrastructure, Planning and Logistics amended the NT Planning Scheme to remove the provisions that allowed the development of dual occupancies in Zone SD. Consultations completed and plan approved by the Minister for inclusion in the Planning Scheme in 2015. The Planning Commission has developed an area plan for Darwin's mid suburbs, comprising Coconut Grove, Nightcliff, Rapid Creek Millner and parts of Ludmilla. The Darwin Inner Suburbs Area Plan is the culmination of six months of community consultations and extensive infrastructure studies focused on ensuring future land use keeps pace with the changing needs of a growing community. The site is currently a research facility for practices in agriculture, horticulture and cattle breeding. After investigations into a higher and better use for the site, the Planning Commission prepared a Berrimah Farm Area Plan. In 2013, a discussion paper and consultations led to development of a draft area plan and related studies. The plan was provided to the Minister and the Planning Scheme was amended in late 2014. The Planning Commission produced a draft concept plan to consider options for potential development of the Kahlin Compound and Old Hospital site and Myilly Point, including Flagstaff Park. Consultations were completed in June 2014, following community and stakeholder feedback. This plan covers Litchfield municipality, including rural activity centres of Berry Springs, Coolalinga/Freds Pass, Howard Springs and Humpty Doo. The NT Planning Commission has recommended the Litchfield Subregional Land Use Plan to the Minister for Land and Planning for exhibition as a proposed amendment to the Northern Territory Planning Scheme. This looks at land use and future infrastructure needs in areas adjacent to the future Palmerston Regional Hospital. Consultations were completed August 2015, following community consultations and the provision of a draft plan to the Minister. Planning Commission consultations with the community were completed in March 2017. The Planning Commission then presented a draft plan to the Minister for Infrastructure, Planning and Logistics requesting consideration of the plan as a proposed amendment to the NT Planning Scheme. In 2014 the Katherine Land Use Plan was incorporated in the NT Planning Scheme. In 2016 the Planning Commission reviewed the plan, and recommended an amendment to provide Katherine with a locality suitable for a neighbourhood centre to be established in the future. The Planning Commission completed a Tennant Creek Land Use Framework that was incorporated into the NT Planning Scheme in June 2013. This plan covers the whole of the Alice Springs municipality, including the Joint Defence Facility Pine Gap (west), Undoolya (east), Amoonguna (south-east), Brewer Industrial Estate and Alice Springs Correctional Facility (south) and surrounding rural areas. This review covered planning scheme provisions for Alice Springs. Consultations completed December 2014, with the exhibition of a draft plan and guidelines for comment.